You love the light, from the sun or other sources such as lamps. Light is part of life. Without light, you are blind. When the sun goes down, all of us need illumination in our homes; it is not only useful but necessary, a basic need. luca’s Ecolo-lumen quality LED lights will save you on your energy bill, be beneficial to the health of your eyes, thereby saving on health cost and be better for the environment. 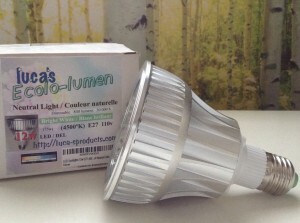 luca’s Ecolo-lumen quality LED lights are safer for your health. They do not contain mercury; do not produce radiation, radio frequencies, UV rays or low magnetic fields like the “energy-saving bulbs” do. The perfect light bulbs without harm to the environment. The “energy-saving bulbs” are Problems Over Our Heads! a. They contain 2 to 5 mg of mercury (or 20 times the quantity permitted in the air). 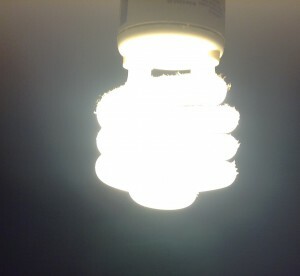 Consequently, should a bulb breaks indoors, these “energy-saving bulbs” release 20 times the maximum acceptable of mercury concentration into the atmosphere. Mercury is a potent neurotoxin especially dangerous to children and pregnant women. Toxic to the nervous system, the brain, the liver and the kidneys. It can result in cardiovascular, immune and reproductive system failures. Mercury may also cause headaches, tremors, insomnia, anxiety, memory loss, cancer, Alzheimer’s, and more. 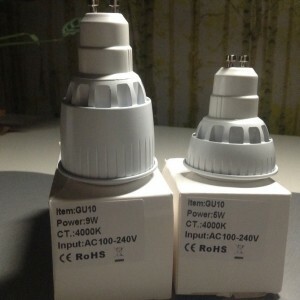 A study performed by Peter Braun at Berlin Germany’s Alb Laboratory found that these “energy-saving bulbs” contained poisonous carcinogens (phenol and styrene). Breast, prostate, ovary, cervix, lung, stomach, thyroid and colorectal cancer risks are increased. b. They produce radio frequencies (no other home appliances produce these) and low-frequency magnetic fields which can cause cancer. Low-frequency magnetic fields may also cause interference with a pacemaker, may diminish the melatonin (sleeping hormone) and may result in agitation, irritability or hyperactivity. c. They produce a lot of UV rays: UV-B and traces of UV-C radiation. It is generally recognized that these types of radiation are harmful to the eyes and the skin (can lead to skin cancer). This radiation directly attacks the immune system and damages the skin tissues enough to prevent the proper formation of vitamin D-3. d. Also, studies show that lamp radiation reaches up to 2 meters even though manufacturers tell us that the distance is at only 30 cm. These “energy-saving bulbs” are so toxic they are considered household hazardous waste. If you break a bulb indoors, you have to open all the doors and windows, and evacuate the house for at least 15 minutes to minimize exposure to the poisonous gas. The perfect light bulbs without harm to the environment or your health are luca’s Ecolo-lumen quality LED lights. The lamp of the future and by far the better choice! Be smart!